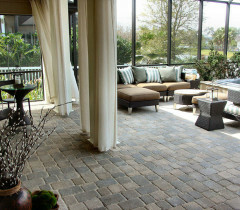 Patios, porches, and decks are popular extensions of the home. People like taking a cup of coffee outside and enjoying the sunrise in the mornings, as well as being able to entertain and spend time with friends and family. There is just one drawback to a patio, porch, or deck. Summer brings bugs, and bugs can be very annoying. 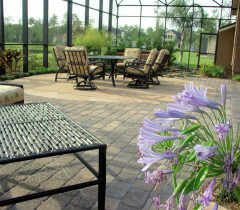 To enjoy all of the benefits of a porch or patio with none of the bugs, a screen room is a great alternative. A screen room can enclose a pool area, a patio, a small pond, or virtually anything else that you might desire. It is basically up to you when it comes to the many uses of a screen enclosure. There are several benefits to a screen room. They have been compared to sunrooms, but rather than windows, they have screens. This offers some protection from the sun and rain as well as letting a good breeze blow through during the warm months. Some areas of the country have more warm weather than others making them prime candidates for jacksonville screen enclosures that can be used almost year round. A screen room offers extra living and entertaining space without the need for heating or cooling. Often people add outdoor ceiling fans to the rooms to help keep them cooler in the summer. A few chairs and tables, a grill, and an ice chest make the perfect place for a meal outdoors without worrying about flies, mosquitoes, or gnats. Another benefit of a screen enclosure is having a place to let your pets enjoy some fresh air without worrying about them. This is particularly true if you do not have a fenced yard. One thing that most people do not realize is a screen room can add to the value of their property. Adding a screen room doesn't have to cost a lot, so the property value added versus the investment cost is quite advantageous. A screen room is also simple to maintain and repair. Most screens have vinyl or aluminum frames that are attached using a spline. There are grooves in the frames. The spline is placed over the screen and a spline tool is used to roll the spline holding the screen into the grooves. This makes it easy to replace the screen if it becomes worn out, torn, or develops a hole. We really enjoy our sunroom - which also has screens - but if we ever live in a warmer state, I'm definitely going to want one of these screen rooms. Preferably with a pool. How about you? Have These Always Been a Thing? Do You Think I Got My Money's Worth?